In our last entry we covered some of the basics of Blockchain technology and how it has been adopted over the last few years by enterprises big and small. 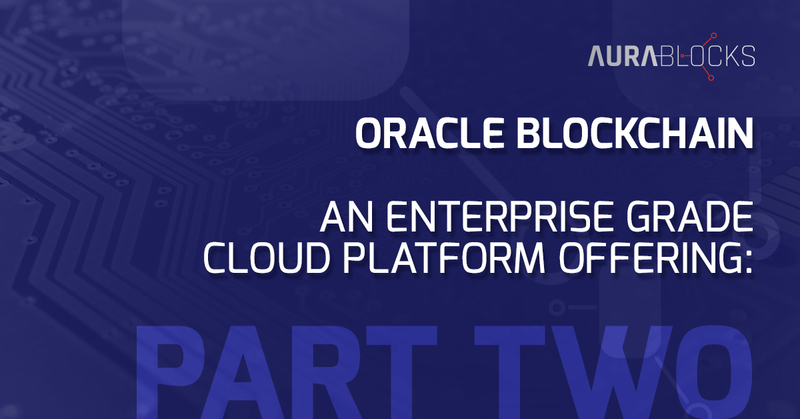 At Aurablocks, we have the experience you need to make the most out of any Oracle-based Blockchain development. Read on to learn more about Blockchain. Oracle’s Blockchain Cloud Service (BCS) is a PaaS offering from Oracle that brings enterprise-grade distributed ledger technology to businesses. The service is built on top of Blockchain technology that has its origins in the Hyperledger Fabric project under Linux Foundation. Some of the most prevalent and successful implementations of this Blockchain technology are powering the backbone of cryptocurrency ecosystems like Bitcoin, Ethereum, and others. What are the market enablers that are guiding vendors like Oracle and others to invest in this amazing platform and offer it as an enterprise-grade product to businesses around the world? Let’s explore some of these factors. The weather in San Francisco for Open World was just beautiful. Any day was a good day to pick up your team and head to a diner for breakfast. And we did just that. Ah, the good old days. 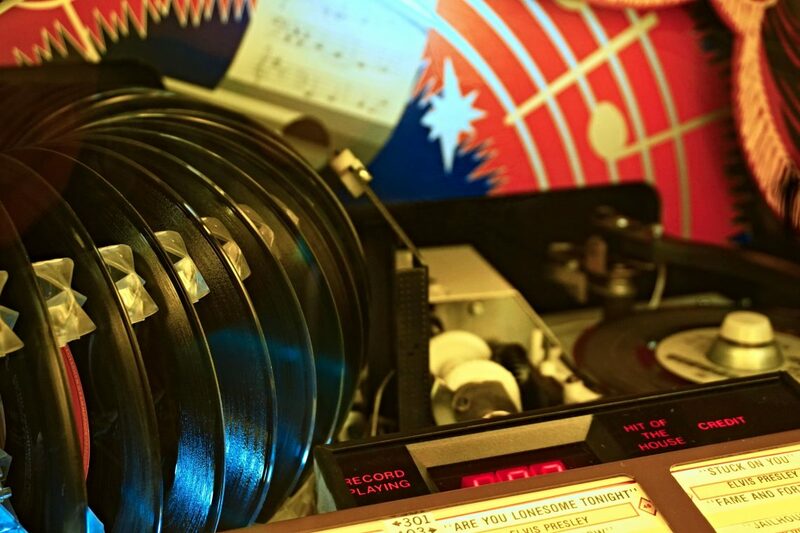 Pop in a quarter and you get to pick and listen to whatever song you want. You know what you are paying for and you get what you wanted. Today, enterprises can expect the same kind of experience with respect to cloud-enabled infrastructure and application services. All the major vendors in the marketplace are busy improving their game to compete for your quarter. Yes, the space is so evolved that it truly has become a cents-on-a-dollar value proposition. This comes as great news for CIOs ,CTOs, and business leaders. It takes the center stage conversation in technology planning and forecasting from a pricing game to one of innovation that is powered by transformative platforms like Blockchain and further enhanced by emerging tech like AI/ML, BigData, Digitization, Human Interfaces, and more. Memory is getting dense and new offerings around persistent memory are becoming real. The two factors above further the case of a putting together a perfect‬ base layer for certificates, cryptography, math driven consensus, and security. Data pipes for distributed computing and cluster farms on a business network can now ‬handle ad hoc activity bursts and messaging queue lengths that were unheard of before. Push of a button orchestration, deployment, and self-healing infrastructure is becoming real‬. Pluggable, distributed, self-tuning scalable data stores are becoming more normal day by day . At OpenWorld, the topics mentioned above, along with many more, were an integral part of the keynote presentations that were delivered by the leadership at Oracle, Intel, and other companies. This is a good sign for technologists, customers, and investors. Despite all of these encouraging factors, engineering for enterprise Blockchain requires a whole new level of top down/bottom up integration and innovation capabilities. Just to set some context of scope, the entire full node data size of a node on a Ethereum network today is around 300+GB. For Bitcoin it’s around 135+ GB. Surprisingly enough, these two ecosystems are the most vibrant living proof validation for blockchain as a core technology. Enterprise blockchain platforms support completely different business ecosystems. These networks are closed, private, segregated business platforms that transport payloads that go beyond moving crypto from wallet A to wallet B. They call for logic beyond the movement of crypto, logic that drives business workflows. These workflows demand movement of payload that is beyond just a few bytes. These kind of payloads need pipe, storage, and computation beyond what is seen in public blockchain platforms like Bitcoin and Ethereum. Coming across transactional data stores that are a few Terabytes (TB) is not a rare event in today’s business world. Business leaders of today should be willing to make a tradeoff of having multi-node business network data nodes in order to be able to participate on a business network to reduce business friction that exists across organizational boundaries. This is a good tradeoff to make, and vendors like Oracle should innovate to meet this need. Based on what we have see in our pre-beta program, they already are. This is what the industry will move towards in the next few years, so what does this mean for decision makers? Blockchain technology is not a packaged, off-the-shelf software application. Instead, it is a truly enabling and transformative platform which has the potential to bridge the divide, bring in trust, and enable seamless business orchestration to business functions that are stuck in application package silos across organizational LOB’s and boundaries. The platform has an innate capability to connect business workflows across different corporate, geographic, device, and operating business models. It will take a pragmatic leader to spot these opportunities and use Blockchain technology to bring a quotient of trust and seamless business collaboration to their customers, consumers, partners, and ecosystem players. The questions is, are you that kind of a leader? Whatever path you take towards enabling your organization to be Blockchain ready, invest in the right people, processes, and technologies. Our experience as an Oracle partner developing solutions on Oracle BCS has been remarkably clean. Simply, enterprise class. Feel free to reach out to us to learn more about Blockchain and how we can help you to on-board it into your enterprise. Let “Blockchain” be with you.